So, I’ve been nominated for another award. 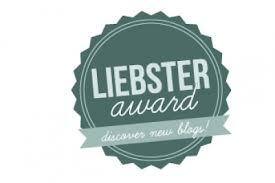 This time it’s the Libester Award and I’ve been nominated for it by Ali over my My (Dis)abled Life. Thank you for thinking of me Ali! 2. Post 11 random facts about yourself. 3. Answer the 11 questions set for you. 4. Choose 11 blogs that inspire you with under 200 followers and link their pages to your post. 5. Create 11 questions for them. 6. Go to your nominees page and let them know you have nominated them. I have had five walking frames throughout my life (including Martha). There are a few reasons. The main one though is that I enjoy it. The other big one is that lots of people kept encouraging me to share my stories about growing up with Cerebral Palsy with others in the hopes that I’ll be able to help or inspire them. At first I was reluctant because I wasn’t sure anyone would be interested, but in the end I decided to do it anyway. I’m very glad I did. 2.What are your challenges with blogging? 3. What is your biggest inspiration? My parents. Without them I would probably have given up long ago. 4.When was your last Random Act of Kindness? 6. What’s a cause that’s important to you? I have too many to pick just one. 8. A quote you are known for saying? 9. Sneakers or something fancy? 2.If you could swap lives with another blogger for a day, who would it be? 4. What was the last film that made you cry? 5. Ice cream or chocolate? 8. The pool or the beach? 11. If you could play any instrument, what would it be? As someone who enjoys writing I like to read Whitter Strong’s posts. I love reading Maria’s posts about how to gets creative when it comes to managing every day tasks with her disability. She’s given me a couple of tips. I like to read Sarah’s blog about living with ME. I feel like I’ve learned so much about it already and I haven’t been reading for very long. I enjoy Ann’s posts about raising her three kids. Okay, I know that’s not 11 but all the others had more than 200 followers. Sorry. I’m addicted to peanut butter too… the kids hide it from me so I don’t eat it all. 😉 I’m also glad you started this blog. You’ve taught me a lot, not just about CP, but about how to be courageous! Thank you! My mum would only ever buy the really tiny pocket-sized jars when I was little cause I’d try and eat it straight from the tub every chance I got. Aww! Thank you so much for your kind words! Thank you for thinking of me. Just like you, I prefer being hot than being cold. I guess cold is tough for those folks with disabilities; that’s what I gathered from the blogs I follow by physically-challenged people. No problem! Yeah most people I know with physical disabilities says they struggle with cold too.